Even the centre line goes around the potholes, as witnessed in this picture taken on Mount Pleasant Road recently. 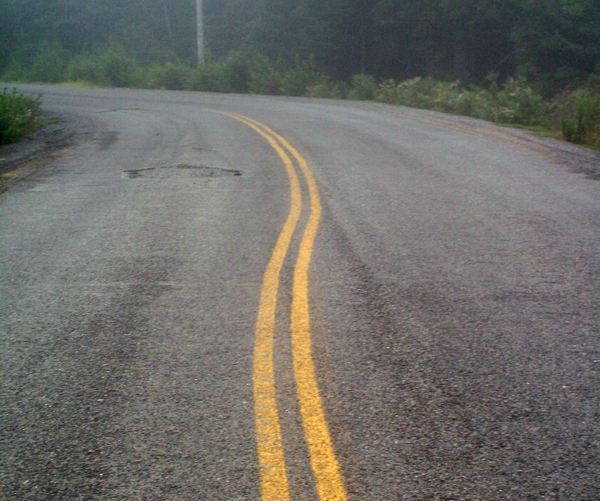 Which raises the question… which came first the centre line or the pothole? And you thought the Nova Scotia Department of Transportation and Infrastructure Renewal had no sense of humour? See Ed’s first post here.